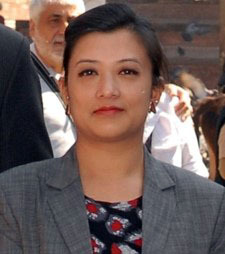 Bidhya, a Chartered Accountant, has been in professional finance and accounting in both India and Nepal for more than 15 years, including six years in the Nepal banking sector. He joined Dolma before first close in 2014. Bidhya received his chartered accountant training at JC Bhalla & Co, Delhi. In Nepal, he was Audit Manager with TR Upadhya & Co, where he gained expertise in equity valuation for private and public companies. 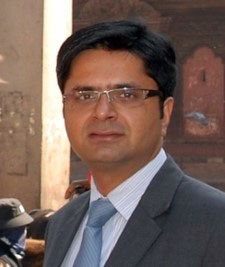 He then joined Kailash Bikas Bank, the largest development bank in Nepal, as Head of Business where he oversaw the bank’s high performing credit portfolio. He was also a member of various top management level committees. Bidhya holds an MBA from Kathmandu University School of Management. He is a non-executive director at various portfolio companies for Dolma Impact Fund. Bidhya is also a member of the board of Rastriya Banijya Bank Ltd, a government owned commercial bank with one of the biggest portfolios in lending and deposits in Nepal. Shabda is a Investment Director at Dolma Impact Fund. Shabda helps lead deal origination, transaction execution,regulatory approvals and post-investment management of partner company. He oversees hydropower and healthcare projects and sits on the board of the various partner companies. 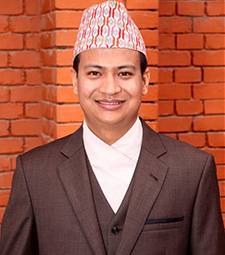 Prior to joining Dolma in 2011 as a business development officer, Shabda worked as an Associate in Beed Management, a management consulting in Kathmandu. At Beed, he provided operational and investment support to SMEs involved in financial inclusion, agriculture, agro processing, and manufacturing. He also has significant experience in other emerging and frontier markets and co-founded Saraii, an eco-tourism venture in Sri Lanka. Shabda Gyawali earned his undergraduate in Economics and his MBA in Sustainable Entrepreneurship from Colorado State University, USA. He was trained on negotiation strategies from Indian School of Business, India. 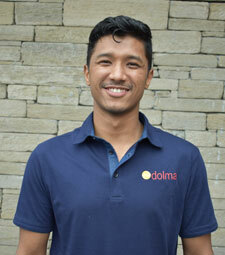 Nikita manages the pharmaceutical and IT portfolios of Dolma. She is involved in deal sourcing, structuring and negotiating new deals, preliminary due diligence of potential companies and regular monitoring, guidance and building business development strategies for the portfolio as a representative of Dolma. Her expertise lies business growth planning and restructuring, in-depth understanding of investment potentials in sectors such as hospitality, reconstruction, agriculture and solar in Nepal and working with diverse stakeholders. Prior to joining Dolma, Nikita worked for 18 months on inward investment, research and analysis, and industrial promotion of local entrepreneurs in the Dundee region where she gained immense exposure on operations, financing, and promotion of businesses. Nikita is a graduate of the University of Dundee, Scotland and holds a Master's degree in Accounting and Finance. She holds a certificate on Negotiation Strategies from Indian School of Business and has been a part of several PE, investment and ESG related training in Nepal and India. Sandeep Shrestha, ESG Manager at Dolma Impact Fund, is passionate about his role overseeing Environmental and Social compliance of Dolma’s portfolio companies. He undertakes initial E&S screening and due diligence for the Fund. He is experienced in IFC Performance Standards in sectors such as renewable energy, pharmaceutical, hospitality, healthcare, and Tech Company. Sandeep also oversees capacity development of portfolio companies through technical assistance, monitoring and evaluation of E&S performance, and Impact measurement and reporting for the Fund. 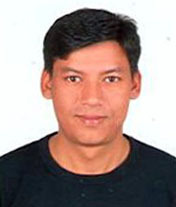 Sandeep served as Director of Fair Trade Group Nepal overseeing WFTO Fair Trade Guaranteed System Certification for organizations in Nepal. He worked as Programme Director of Dolma Foundation in impact projects like village rebuilding, school rebuilding, and disaster relief operations. He is well trained in rights-based approach, monitoring and evaluation, project management and income generation activities. As PR Specialist with eQuality – Pathways to Potential USA, Sandeep worked with individuals with developmental and physical disabilities to advocate for social change and employment of disabled communities. Sandeep has an MBA with emphasis in Employee Development and undergraduate degree in Marketing from St. Cloud State University, USA. Sandeep is an avid photographer and traveller and loves to share impact stories from the field. He has a drive to build sustainable and ethical enterprises in Nepal. Nishinta is a graduate student from the University of Central Missouri. She holds a Master’s in Business Administration (MBA) in Finance. She has been working with Dolma for 2 years in sectors like Pharmaceutical, Technology and Tourism. She has also gained experience and exposure in deal structuring, negotiations and financial model. 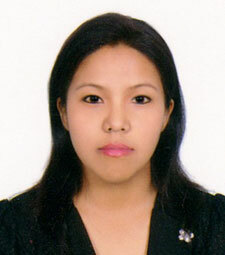 Nishinta joined Dolma from Nepal Investment Bank Ltd where she was Relationship Manager at the Corporate Division. She has worked on sectors such as construction and housing, healthcare equipment and agro processing where she evaluated their business operations and financials to provide short term and long-term loans. Nishinta was a Graduate Assistant (GA) for two years at Harmon Business School where she gained administrative and managerial experience. 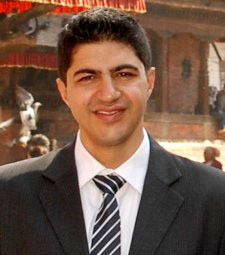 Raskin holds MBA in Finance from Kathmandu University School of Management. He supports Investment Managers in deal execution, its management and exits in Hydropower and Cement industry. Prior to Dolma, Raskin worked in NIBL Ace Capital as acting head of Research Department. He has over 2 years of experience in Research Department supporting Fund Management, Portfolio Management department, and Investment Committee in decision making. He has extensive experience in creation of valuation model for Banks and Insurance Companies for Furthers Issues and Auction price determination. Moreover, he conducted Macroeconomic, Industry and Company Analysis along with Technical Analysis for Investment Decision. 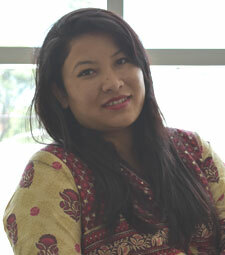 Sharmila, E&S Analyst at Dolma Impact Fund holds Master’s Degree in Environmental Science. She is involved in E&S document review and assessment of portfolio and pipeline companies. She assists E&S officers of portfolio companies in the documentation of required Environmental and Social Management Systems and meeting required Environmental and Social Action Plan of Dolma Impact Fund. She helps in monitoring progress on implementation of ESAP of portfolio companies, risk identification, mitigation and reporting. She oversees the compliance of portfolio companies with relevant laws and regulations of Nepal and applicable International Standards. Prior to joining Dolma, Sharmila worked as an Environmentalist for Environmental Assessment (EIA/IEE) of development projects where she was responsible for overall environmental study and preparation of Environmental Management Plan. She has also been involved in research activities related to Disaster and Climate Change. She also worked as a Research Assistant and Lab Assistant (Water Quality Test) in Centre of Research for Environment, Energy and Water. 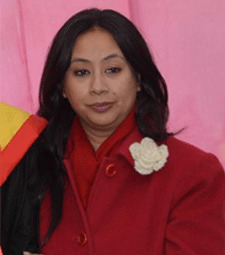 Shubhra holds MBA degree majoring in Human Resources from Kathmandu University School of Management. She has more than 10 years of working experience in diverse sector like airline, corporate house to development sector. 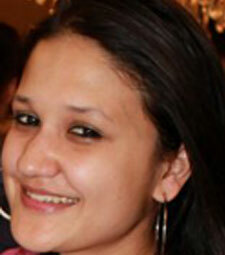 Shubhra has joined Dolma as Head of Operation, to support the organization human resources and administration area. Prior to joining Dolma, she was Head of Human Resources at Qatar Airways where she oversaw all human resources and administration aspect including, recruitment, HRD, performance management, organizational behavior, supplier relation management. She enjoys reading, cooking, travelling and spending time with her kids. Nisha Shrestha is a trained professional in the field of office secretary and office assistant and possesses more than four years experience in private organisations including a commercial Bank and migrant worker recruitment agencies. She holds Bachelor in Business Administration and is currently persuing Masters in Finance and investment. She has served many social initiatives during her professional career such as opening bank accounts for the socially excluded and marginalised group for access to banking and acting as a liaison among manpower, labour department and concerned embassy to address labour issues. Mr. Bhim lal Pode possesses nearly two decades of experience in the field of administrative work with Save the Children UK 1991- 2005, Save the Children Sweden from 2005-2011 and (FAITH), an NGO 2011-2014. He has had a progressive growth from cleaner to messenger to office assistant mainly due to hardworking, proactive, commitment and positive attitude. Over the years he broaden his competencies to undertake assignment efficiently and effectively. When he joined Save the Children in 1991, he had only grade 9 education. Due to his commitment, determination and will power to groom professionally and to excel in life, he continued his further study and passed high school and plus 2 level supported by save the children. Recently he is persuing bachelor degree in sociology from Patan Multiple campus. Even though he was born in a minority/ "untouchables" community, Bhim broke all the social stereotypes and stigmas to be an exemplary figures in his community. Considering his interest for further study and, Dolma has decided to support his education.